British raw food specialist Gourmet Raw will be launching a new addition to their range in mid January 2012. 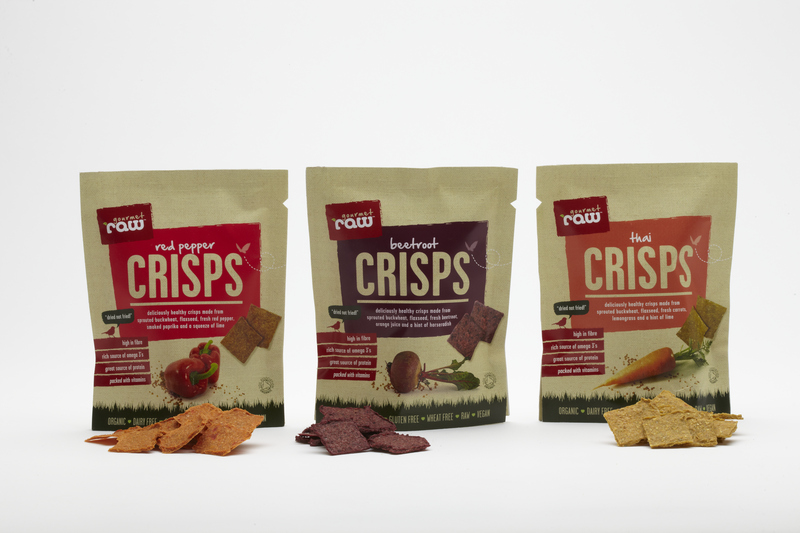 Their new raw crisps are the perfect snack, with nothing to feel guilty about: made from sprouted buckwheat, which is full of protein and fibre, Gourmet Raw then add locally grown vegetables, herbs and seeds that are crammed full of vitamins and minerals. Each variant is slowly dried in order to retain all the naturally occurring enzymes and nutrients present in the carefully selected ingredients. Every packet contains no preservatives, binders or chemicals…just 100% natural ingredients packed with goodness. Gourmet Raw crisps are available from Planet Organic, online at http://www.gourmetraw.com and select independents. Next Post Old Beaconsfield – the next Bra?